Acts 4:12 – Neither is there salvation in any other name: for there is none other name under heaven given among men, whereby we must be saved. Salvation – Deliverance from sin and from the penalties of sin; redemption. Some of the today’s Christians base their salvation by comparing their lifestyle to someone else’s rather than comparing their lifestyle by the Bible. Some feel as though they have received salvation because they were accepted at a local church or because they attend church on a regular basis. Some even feel they’re saved because they give tithes and offering and its the right thing to do as a Christians, but giving tithes and offerings doesn’t save us neither does our name on a church membership gives us salvation. Jesus came to earth to save men from their sins. We can’t stop practicing sin on our own, all though we may desire to, it takes the power of God to empower us, to turn from sin. There has to be a renewing of our thinking and that comes by hearing the Word of God and reading the Word of God. Too many Christians attend church on a regular basis, but they don’t pick up their Bibles until the day they attend church. It takes practice to be a true Christian, not a Sunday Christian or Tuesday Christian or when the weather is fair Christian. Faith comes by hearing the Word of God (Romans 10:17 – So then faith cometh (meaning frequent listening) by hearing, and hearing by the word of God). Once we hear the Word of God, we must read the Bible to get an understanding of what God is requiring from His people as well as understanding our rights as a Christian. Jesus came to redeem us back to the Father. We lost our original place with Him when Adam gave up his rights of dominion to Satan. There was no other name we can be redeemed or saved by, but by the name of Jesus. Jesus didn’t instruct us to go to Mary in prayer, but to go to the Father which is God (John 16:23 And in that day, ye shall ask me nothing. Verily, verily, I say unto you, whatsoever you shall ask the Father in my name, he will give it you). The Bible teaches us how to pray, and Jesus was our insurance policy and premium. He paid the price to reconcile us back to the Father. An insurance policy comes with stipulations, there are does, don’t and if’s in the policy. If we want to be able to redeem the policy to enter into the Kingdom of God, we must abide by the stipulations. First of all, we must come to the realization, we are sinners in need of a Savior (Matthew 1:21 – And she shall bring forth a son, and thou shalt call his name Jesus: for he shall save his people from their sins. Secondly, we must believe that Jesus is the Son of God (John 3:18 – He that believeth on him is not condemned: but he that believeth not is condemned already, because he hath not believed in the name of the only begotten Son of God. Thirdly, we must deny ourselves in order to please God (Matthew 16:24 – Then said Jesus unto his disciples [then and now] If any man will come after me, let him deny himself, and take up his cross, and follow me. Last, but not least, we must obey the Word of God, we must obey the teaching of the Word, when it’s taught according to the Word of God and not by man’s opinion (James 1:22 – But be ye doers of the word, and not hearers only, deceiving your own selves). If we follow the instruction of the insurance manual which is the Bible, it will lead us to Jesus; it will give us knowledge of the Father and the Son. It will instruct us in how to please the Father. It will direct us in what we should and should not do as Christians. There are too many weak Christians, and it’s because they will not take the time to pray or read the Word of God. How can we obey the Word of God, if we don’t know what’s in the Bible? 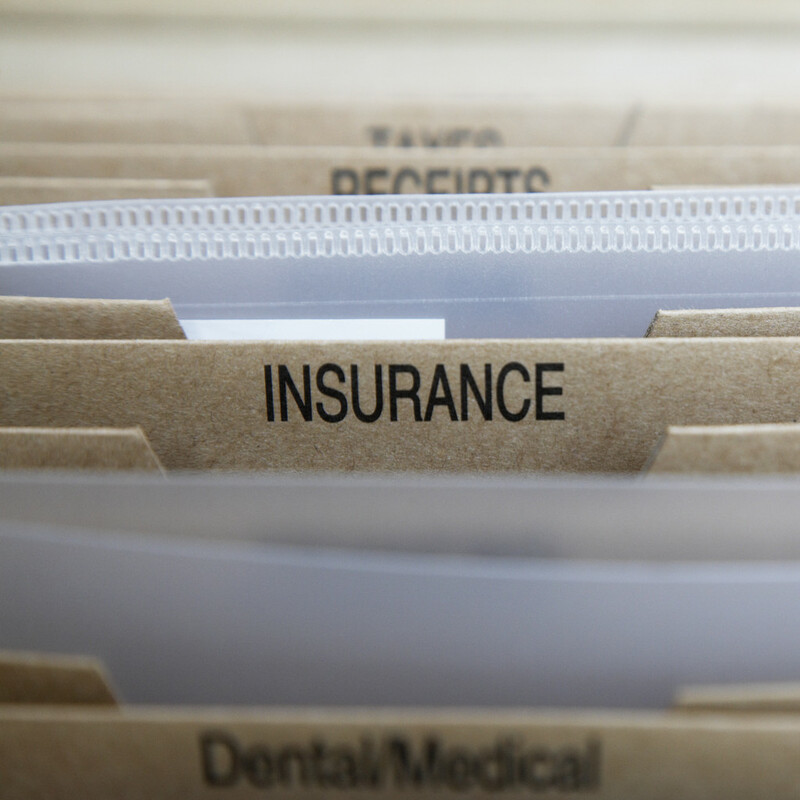 How can we know what belongs to us as Christians, if we don’t read the insurance manual? With an insurance premium, the policyholder must pay a monthly or yearly premium in the natural. In the spirit as policyholders, we too must pay a daily premium. We should have daily communion with the Father; we commune with Him through prayer, praise, and worshiper as well as reading His Word on a daily basis. After we read the Word, we should purpose in our hearts to obey what we have read after we have purposed it in our hearts, God will enable us to fulfill the purpose. As Christians, we have to pay our premium, and it’s due daily, prayer, communicating with the Father, following the instructions. When we don’t follow the instructions that are leading us to light we detour and begin to follow the darkness of the world’s then the wages of sin is death (For the wages of sin is death; but the gift of God is eternal life through Jesus Christ our Lord – Romans 6:23). Death comes in many forms other than physically, choose Jesus who will give life in every area of your life, then when its time to cash in your policy, the kingdom of God will be waiting for you. ← Can A Christian Be Possessed?